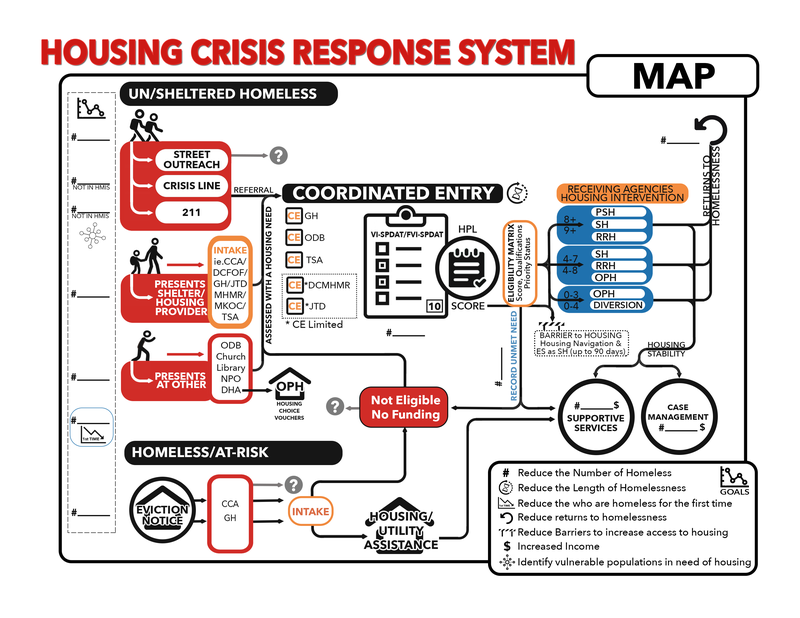 The key to creating solutions to homelessness is understanding who is homeless. The U.S. Department of Housing and Urban Development (HUD) requires that all communities applying to use HUD Continuum of Care (CoC) funding to serve the homeless should count the unsheltered and sheltered homeless on one night that falls within the last 10 days of January. This annual count is referred to as the “Point-in-Time Count,” and is important to all communities, providing a tally of who is homeless on a given night and producing a snapshot of who experiences homeless throughout the year. Interviews of individuals were conducted by volunteers a various sites and at social service agencies in the community. The Denton County Homeless Coalition coordinates a census and survey of the homeless not only to fulfill the HUD requirement for federal funding for a variety of homeless housing and supportive services through the CoC, but also in order to understand the changing trends, extent, and nature of homelessness in Denton County. The data assists in measuring the degree of success in ending homelessness. Help us know this sub-population in our community – Who are they? Help us prepare data for the grants and other available funding.